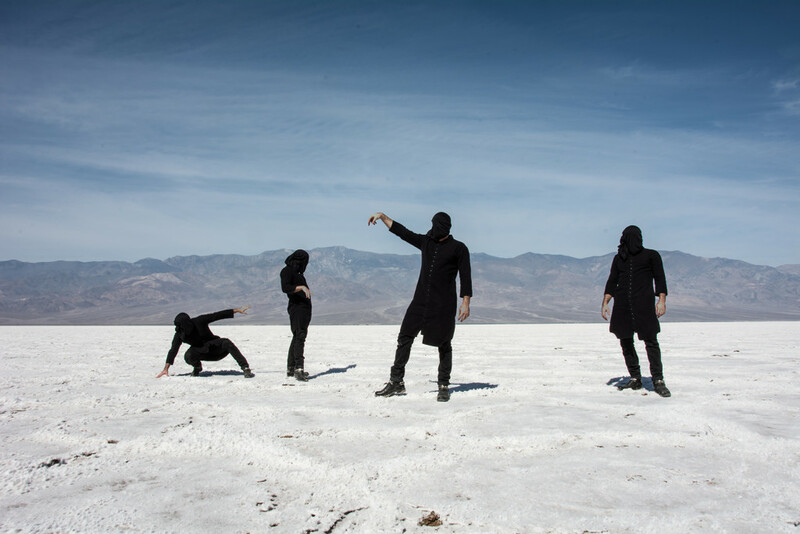 Arizona desert weirdos THE OXFORD COMA kick off their two-week Western US Universal ConTour 2018 this weekend supporting their Steve Albini-produced second LP, Everything Out Of Tune. 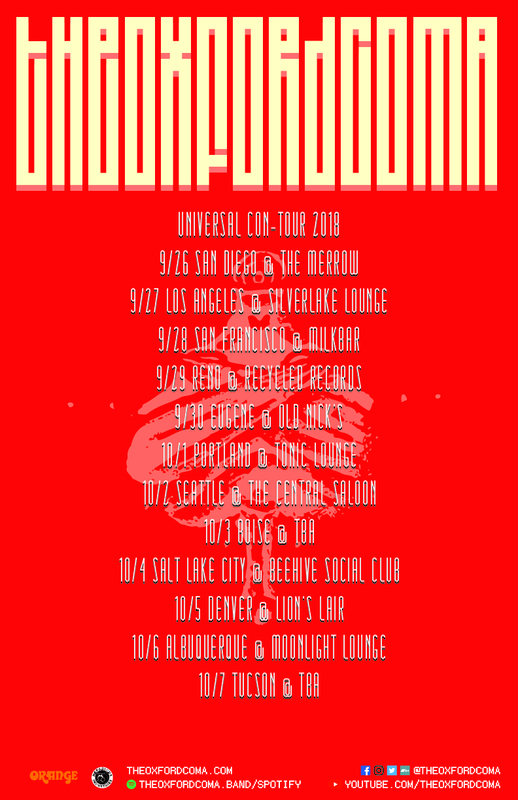 Following a kick-off show this Saturday, September 22nd supporting Kyng, THE OXFORD COMA’s Universal ConTour 2018 hits San Diego on September 26th and crushes through Los Angeles, San Francisco, Reno, Eugene, Portland, Seattle, Boise, Salt Lake City, Denver, and Albuquerque, coming to a close back home in Tucson on December 7th. THE OXFORD COMA is available for pre-show performances, afterparties, and other live actions surrounding the shows. Sign up for reminders when the band will be in your area, plus get a free download of the Everything Out Of Tune LP at THIS LOCATION. Everything Out Of Tune is out now on limited edition colored vinyl LP and all digital providers; find physical merch options through the band HERE and via Nefarious Industries HERE, place digital orders HERE, and see several videos from the album HERE. Following the new tour, THE OXFORD COMA will continue writing their third LP which will see release in 2019 through Nefarious Industries. Watch for updates on the album as well as new tour dates to be announced over the months ahead. Copyright © 2019 Earsplit Compound. All Rights Reserved.